Scissor lift and large goods hoist solutions for the heavier end of the goods hoist market fulfill a vital role for many industries. Regularly found where there are issues relating to access to underground car parks and loading bay solutions, the scissor lift concept offers larger weight carrying capacity and good versatile sized platform. Many can also allow authorised persons to travel on them and still come under “Machine Directives”. Others help provide a simple safe connection between vehicle and the bay itself. So if you have a need to move heavy large loads between floors, then a scissor lift solution might be for you. We regularly refurbish and modernise this type of equipment because in some instances and locations it is more cost effective to do so. 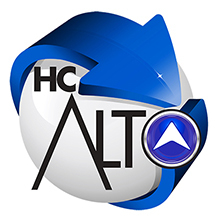 HC Alto are experienced in guiding clients through the specification process and identifying the best solution, so please get in touch via the CONTACT section to discuss your specific requirements.